The Braehead Summer Camp in Glasgow, is 4 days of indoor SL training. 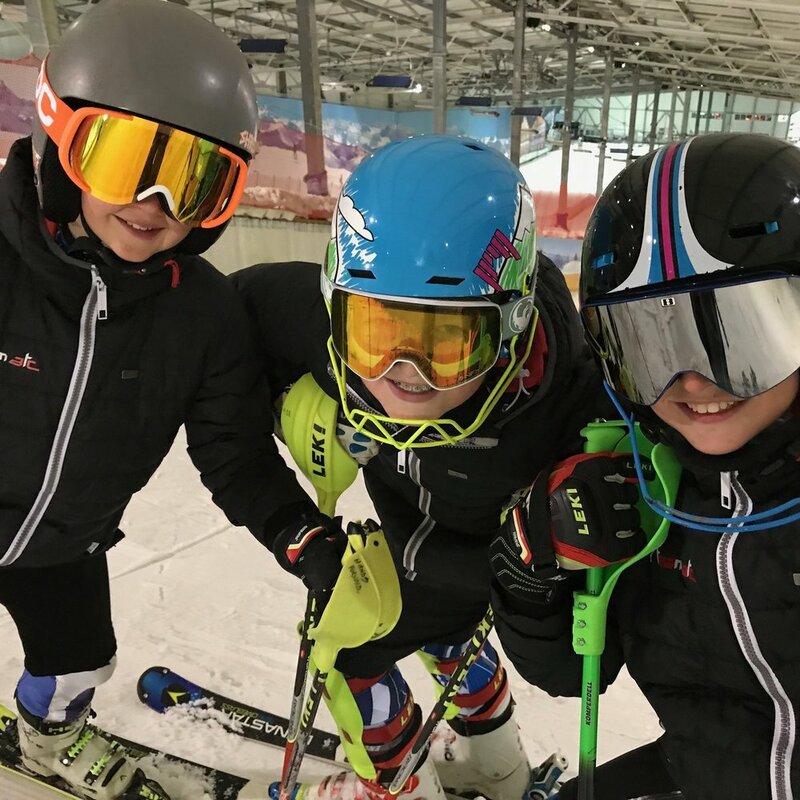 You will develop your skiing through gates, drills, fitness and fun! You will improve massively in this short but intense ski camp. This camp is day training only so no team accomodation available. We have the best team of coaches available to improve your core skills. Braehead offers a great oppertunity to fine tune your core skills of balance, stance and timing as well as clearing gates (U14 U16) and developing a fast line and good pressure. The aims and values of this 4 day camp are: fun, skill improvement, and getting faster through the gates! Slalom, drill courses, jumps and pro slalom races all feature. Iain has been coaching for ATC for 3 years in between his British Ski Team athlete commitments. Iain is a motivated coach and is extremely good at passing on his skills and experiences to young ATC racers. He is also great fun. Cara is a speed demon and has won the last few British National Downhill titles. She loves skiing and passing on what she has learned to the ATC kids. Cara has cut done her apprenticeship coaching with ATC over the summers and is now a qualified coach and instructor. Price includes coaching, lift passes, video debrief, lunch and all off-snow activities. Every racer will get a camp report at the end of the week.